I recently attended the celebration of the Libraries: Opportunities for Everyone programme at Fulham library and heard some inspiring and moving stories of the work that had been done in this programme which Arts Council England administered on behalf of DCMS. With speeches from the Minister for Libraries, Michael Ellis MP, and our deputy chief executive, Simon Mellor, there was plenty to reflect upon and I felt that it would be useful to share the messages from the Arts Council with the wider sector. The main message to all of you is that libraries are really important to us at the Arts Council – and will form a central part of our new 10 year strategy. We have heard very clearly from the public how highly libraries are valued, and we are proud of our role as the national development agency for libraries and the research and development programmes that we can support. We cannot replace local authority funding, we don’t have the resources to be able to do that, but we can support activity in libraries through our National Lottery Project Grants fund. We want to see more applications from libraries, but we recognise that for them to be successful in what is a highly competitive programme, we need to offer really constructive support and advice on how to develop compelling bids. We want to harness the investment in our 6 library National Portfolio Organisations and Libraries Connected as the Sector Support Organisation to channel their experience and learning to potential applicants. Our network of Library Relationship Managers is here to help and support as well. We really urge you to talk to them and build a relationship with them as they can give really helpful advice and guidance. If you have an idea for a project that you think might be of interest, ask us; we can always say no and explain why the idea would not work for us. At the same time, though, we can give pointers as to how that idea might be strengthened and help you develop it into something we might be able to fund. Through our network, we can suggest partners and broker those crucial conversations that can help turn an idea into a reality. Looking ahead, we will design our future development programmes so that libraries can benefit as much as possible. We also have a plea to you all. We want libraries to engage in our online consultation about our next 10 year strategy and help us to shape it further - the more of your voice we hear, the better able we will be to represent libraries in our strategic thinking. Libraries are not name checked in our current consultation documents (nor are museums or arts organisations). That’s because, at this stage, we are focusing on developing a shared vision for the type of creative and cultural nation we want to build by 2030. Once we have established that vision, with your help, we will then turn our attention to how we can realise it - this is when we will be able to talk more specifically about the role of libraries. The consultation documents will be on our website until 2 January 2019. We are looking to challenge all aspects of the work we currently do to make sure that our vision for the future is one which reflects our fantastically diverse society as we move through the 21st century. We want bold, ambitious ideas and blue sky thinking. Libraries are at the centre of our cultural life and our communities. 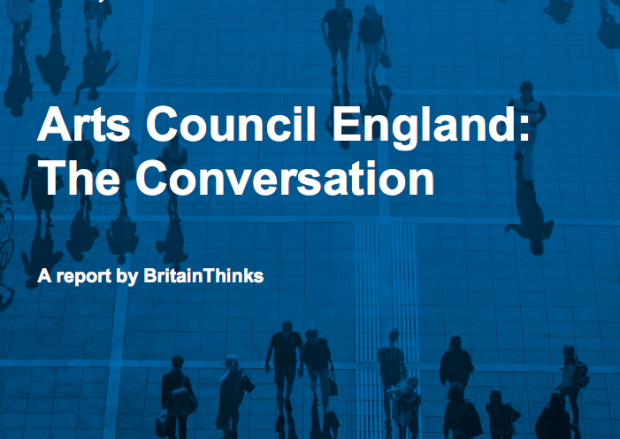 Please take the time to respond and help us to ensure that your views are reflected in our call out to engage so that libraries are at the heart of the Arts Council’s thinking for the next decade and beyond.